Beautiful alamander flowers in hues of cream, yellow and butterscotch rest against a unique background of confetti, striated and mottled glass in green. 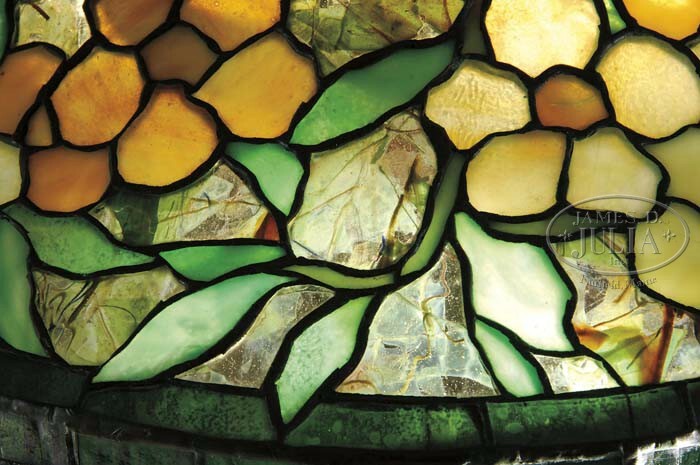 The conical shaped shade ends with a single band of green glass at top and bottom. Shade is supported by a bronze three socket base of simple Art Nouveau styling with vertical ribbing to shaft and circular padded foot. Lamp is complete with a pierced top cap. Entire lamp carries a desirable green-brown-red patina finish. 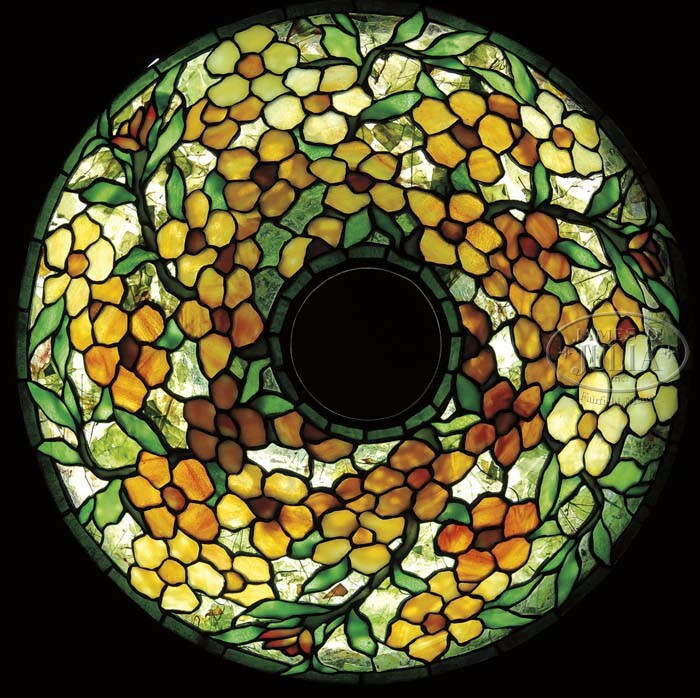 Shade is signed with a small tag "Tiffany Studios New York". 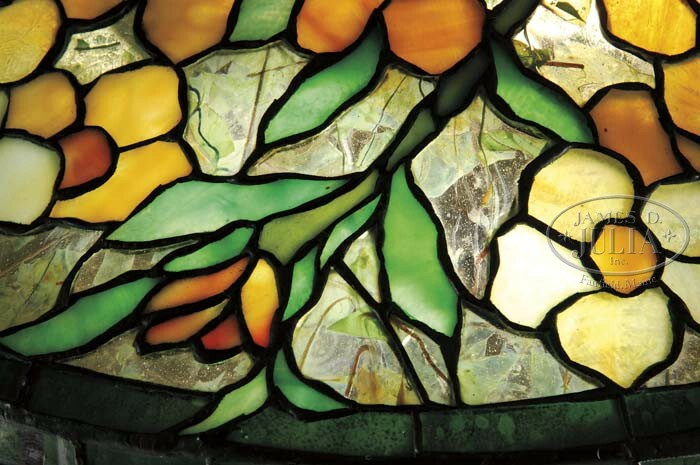 Base is signed on underside "Tiffany Studios New York E118". SIZE: Shade is 18" dia. Lamp is 22" t. CONDITION: Lamp is very good to excellent. Shade has several tight hairlines with no missing glass. © James D. Julia Auctions. All rights reserved.